I welcome the opportunity to provide compassionate high quality care to each and every patient. My practice philosophy focuses on patient cooperation in decision making about treatment options. I’m passionate about caring for patients with multiple sclerosis and other neurological inflammatory conditions. I look forward to developing long term relationships with my patients and the Minneapolis metro medical community. 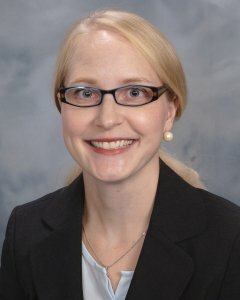 Dr. Jessica Stulc is involved in various research trials related to advances in the treatment of Multiple Sclerosis.